[The following is an excerpt from chapter nine of my book He Who Bleeds. Under the Old Covenant priests offered representational atonement. Under the New Covenant we are His priests, and as such, we may offer representational intercession. We may offer ourselves in the victim’s role in prayer. The prayer closet transforms spiritually into an entrance to the Holy of Holies. We may bring into that holy place the blood of many innocent victims representatively by our sacrificial prayer. Intercessors can be counted as a life laid down for another. This is the call of our Lord Jesus to take up our cross daily and follow Him. What is happening inside that holy corporate prayer closet? As the priests of old made atonement, we are making intercession with our Lord. The corporate cry for mercy rings in God’s ears. We have shown that the victim may waive the Law’s sentence. The victim may release vengeance away from the prescription set in stone and into the hands of the Righteous Judge. The prescriptions of the Law are weak. They cannot purge sin from the conscience of the sinner. Only the Merciful Almighty can find the prescription that will purge each sinner. Only He can bring the sinner to full repentance. His vengeance will not stop short of a purged conscience. The ministry of reconciliation is committed unto us. into the hands of Him who said, I will repay. 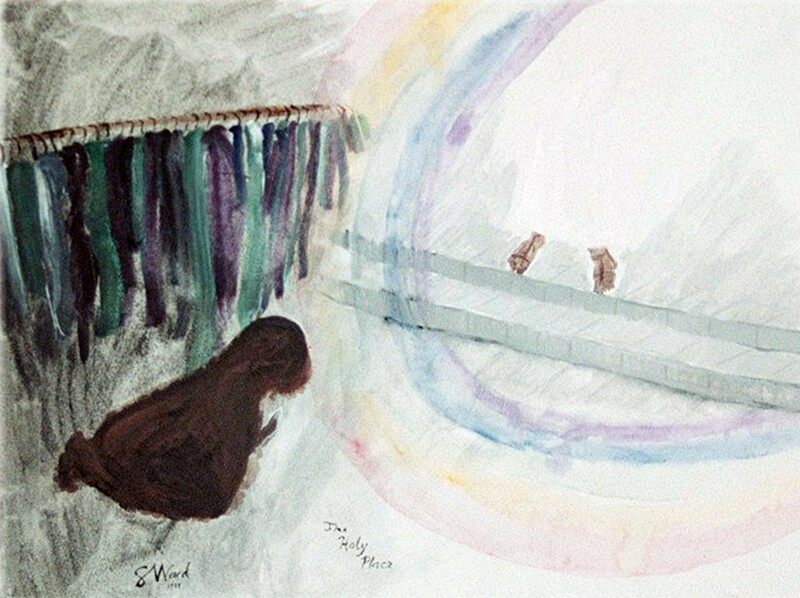 This entry was posted in Atonement and Intercession and tagged forgiveness, holy of holies, intercession, vengeance. Bookmark the permalink.